The CMS String Ensemble had a modest start in 2002, with 4 children and one adult. Today, it’s an amazing inter-generational orchestra with nearly 50 members, from age 8 to 80! 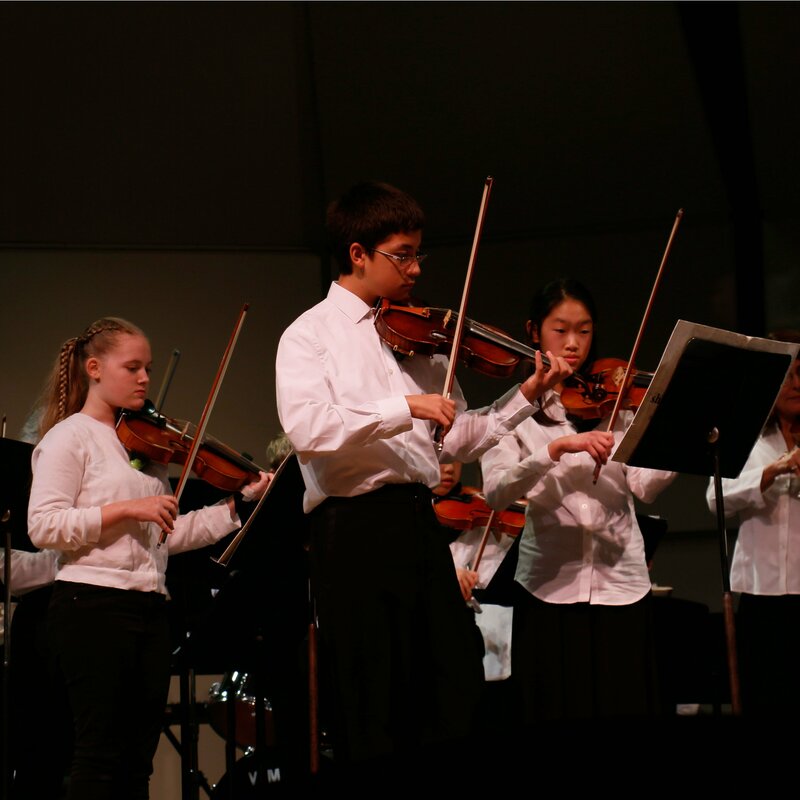 They play music at an intermediate to advanced level in a wide variety of musical styles, from classical to pop to fiddle. The rehearsals begin in September with public performances each year. All violins, violas, cellos and basses are welcome; an audition may be requested. Rehearsals are on Tuesdays from 6:00 to 7:30 pm at Old Saybrook High School. String Ensemble rehearses for approximately 26 weeks, working toward public performances throughout the year.